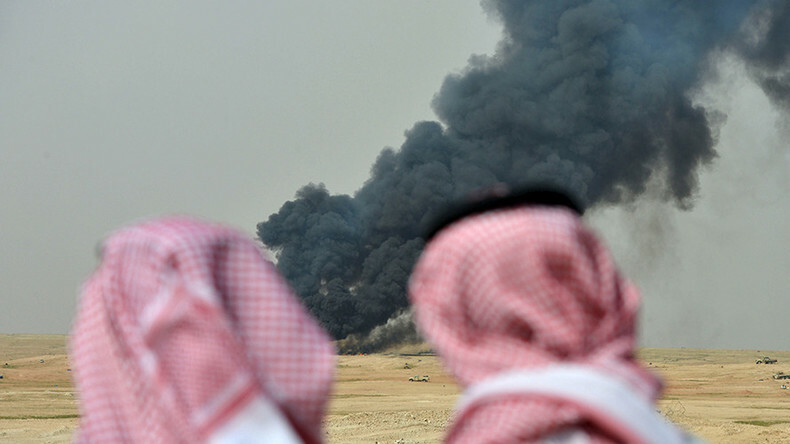 Why is Saudi Arabia bombing its own people? That question has been asked over the course of the past week. The answer is rather straightforward. The unprovoked aggression being carried out against Awamiya and Musawara in the eastern Qatif province is happening because these people are Shia. As shocking as that may seem to people who live outside the Middle East, let me shock you further and tell you more about the laws and policies of the Kingdom of Saudi Arabia (KSA) that restrict religious freedom, where the government generally enforces these restrictions. Freedom of religion is neither recognized nor protected under the law in the KSA and is severely restricted in practice. The country is an Islamic state governed by a monarchy; the king is head of both state and government. According to the basic law, Sunni Islam is the official religion, and the country's constitution is the Qur'an and the Sunna (traditions and sayings of the Prophet Mohammad). The legal system is based on the government's application of the Hanbali School of Sunni Islamic jurisprudence, but the Wahhabi form of Islam is practiced widely. The public practice of any religion other than Islam is prohibited, and there is no separation between state and religion. The government does not respect religious freedom in law. Some Muslims who do not obey the government's interpretation of Islam face significant political, economic, legal, social, and religious discrimination, including limited employment and educational opportunities, under-representation in official institutions and restrictions on religious practice. A law setting forth a range of measures to combat terrorism went into effect in February 2014 and included provisions criminalizing “calling for atheist thought,”“calling into question the Islamic religion,” and “sowing discord in society.” The new regulations come amid a campaign to silence independent activists and peaceful dissidents through intimidation, investigations, arrests, prosecutions, and imprisonment. The government executed some individuals accused of sorcery, or “black magic,” among other offenses. It has also sentenced to death several Shia clerics, one of whom is prominent Sheikh Nimr EL Nimr, while arresting several individuals who publicly criticized discrimination against Shia citizens. 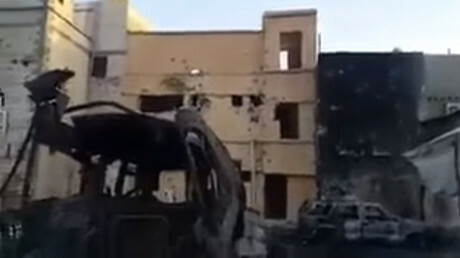 The unrest or rather warfare in the Shia-inhabited eastern province of Al Qatif is not a new occurrence. This has been happening for decades, back to the late 70s. Since Al-Hasa and Qatif provinces were conquered and annexed into the Emirate of Riyadh in 1913 by Ibn Saud, Shia in the region have experienced state oppression. Unlike most of Saudi Arabia, Qatif and much of the eastern province has a Shia majority. The region is also of key importance to the Saudi government due to it both possessing the bulk of Saudi oil reserves, as well as the main Saudi refinery and export terminal of Ras Tanura, which is situated close to Qatif. However, despite possessing the bulk of the oil which funds the Saudi monarchy, the region had traditionally been neglected by the central government and left undeveloped, and particularly lagging in respect to healthcare. Developmental priority was given to Sunni majority areas. Even Shia Aramco workers were paid less than Sunni workers, leading to increased anti-regime feelings. As a result, Shia demonstrators spent the evening of November 11, 1979 shouting slogans against the royal family and the Americans who landed their jets at Dhahran air base for maneuvers. The Saudi regime responded by imposing a curfew on all the towns in the Qatif area, sealing off the area with tanks and armored vehicles. A bloody showdown between the armed forces and the Shia continued until November 30, 1979, in which reportedly thousands were arrested, hundreds injured and 24 killed. Fast forward to today and we see that the Saudi monarchs still crackdown on the citizens of Qatif province in towns of Awamiyah and Musawara the same exact way. 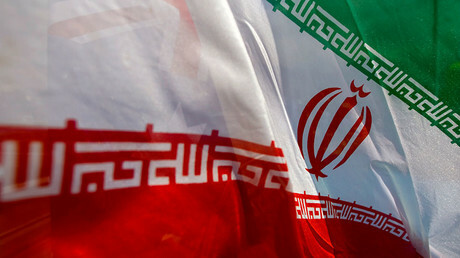 For decades, opposition groups formed by Shias of Al Ahsa, both leftist and Islamists, as well as hundreds of petitions by Shia notables, have had the same demands: an end to sectarian discrimination in government employment and representation in main state sectors including at the ministerial level; more development in Shia areas; the strengthening of the Shia judiciary; and an end to arbitrary arrests of Shia for religious or political reasons. All the Shias living inside the KSA want is for their government to respect their identity and treat them equally, yet they are being intentionally bombed using US made weaponry. Shias have long complained they face rooted discrimination in a country where the Wahhabi school regards their sect's beliefs as heretical. They face abuse from Wahhabi clerics who advocate their killings on live TV and inside Wahhabi mosques and get labeled as “terrorists” when they stand up against such hate crimes. Those basic complaints have over the years been aggravated by what Qatif residents call a violent hand against their community, accusing the authorities of unfair detentions and punishments, shooting unarmed protesters and torturing suspects. Despite the fact the Western world and the UN are regular influential preachers against racism and bigotry, they seemingly choose to ignore the grim reality of the KSA’s human rights violations. One cannot but fully comprehend that the US, UK and the UN continuously protect the monarchs of KSA under an exceptional form of “friendship,” all obviously in the name of economic pragmatism through the petrodollar system. However, the fortune of Al Saud’s “best friends” has come at the expense of their moral credibility by selectively choosing to go blind to the kingdom’s human rights violations. Hundreds of individuals are being systematically arrested at nonviolent protests and charged with “disrupting order” or even worse, “terrorism.” Many of those detained were made to sign pledges not to protest again and summarily issued with travel bans. Others have faced criminal charges and trials, under conditions as one report by Amnesty International claims Saudi police and judges have been instructed to “take all necessary measures” to suppress opposition. Despite the “civilized world’s” vocations of support for the so-called “Arab Spring” and crocodile tears over human rights abuses in Syria, the consecutive US administrations, UK governments and other European powers have turned a blind eye to the brutal repression of Saudi protesters and the complete absence of democratic rights in the kingdom. On the contrary, the imperialist powers have relied on the Saudi regime to crack down on working class uprisings in neighboring states like in Bahrain, bolstering allied dictatorships and supporting reactionary and extreme Islamist groups opposed to the democratic and social aspirations of the masses in Arabia.